RBW Waste Management Ltd. regards Health and Safety as paramount. No business objective is so important that it will be pursued at the cost of safety. We believe in putting the health and safety of our employees, customers and surrounding communities first. We strive to make each day safer through regular communication and ongoing education. We ensure our employees have all the tools and training and knowledge they need to work safely at all times. We also require that our employees complete Field Level Risk Assessments at all sites to identify any hazards that could possibly be present on site. In addition, it is standard procedure to review site orientations during our safety meetings. This ensures that our employees have the requirements to work safely on clients’ sites. 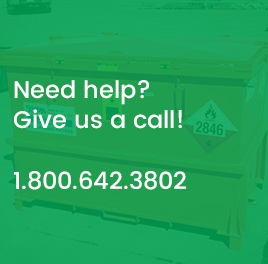 If you have an orientation that you would like to have reviewed by our employees, please feel free to pass it on to the RBW Waste Management Ltd. Health and Safety Team. RBW Waste Management Ltd. subscribes to a number of online safety management providers. This gives our customer the ability to view our insurance coverage and safety statistics, providing the reassurance that we are qualified to work on their sites.